The R&S®EX-IQ-Box is a digital interface module that provides flexible digital baseband inputs or outputs for signal generators, signal analyzers and communications testers from Rohde & Schwarz. 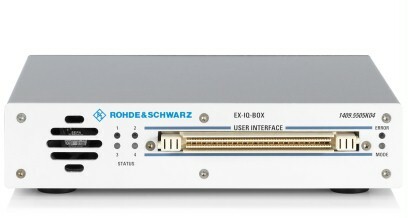 The R&S®EX-IQ-Box is a digital interface module that provides flexible digital baseband inputs or outputs for signal generators, signal analyzers and communications testers from Rohde & Schwarz. 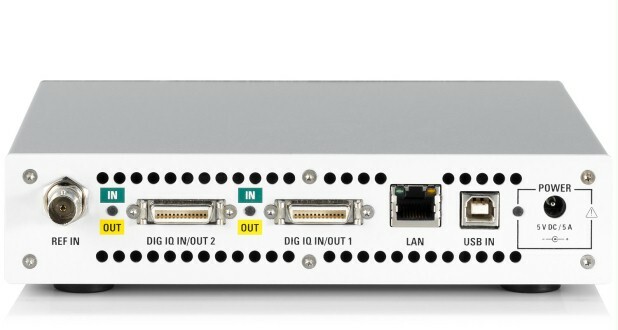 The main application field of this device is the conversion of digital I/Q signals of R&S instruments into user defined or standardized digital signal formats and vice versa. For applications with user defined protocols the R&S®EX-IQ-Box enables either serial or parallel transmission of I/Q signals to a DUT, including variable clock modes, various data rates as well as different logical signal levels. The connection to the device under test is done in a straight-forward approach via adapter boards (=breakout boards) that are plugged directly to the R&S®EX-IQ-Box. In applications with standardized protocols, the R&S®EX-IQ-Box provides not only the I/Q data, but also control information of the respective standard. 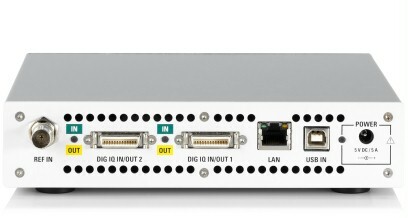 Equipped with the corresponding options, the R&S®EX-IQ-Box supports the standardized interface protocols CPRI™ (common public radio interface), which defines an interface for the transmission of I/Q and control data between the baseband and RF module of a base station. The parameters can conveniently be set via the R&S®DigIConf digital interface configuration software. When equipped with the R&S®EX-IQ-Box, a Rohde & Schwarz vector signal generator delivers realistic digital baseband signals for testing digital transceivers or other components. It can thus cover all common state-of-the-art standards such as LTE, WiMAX™ and 3GPP including HSPA, as well as user-defined signals and effects such as fading, AWGN or I/Q impairments. 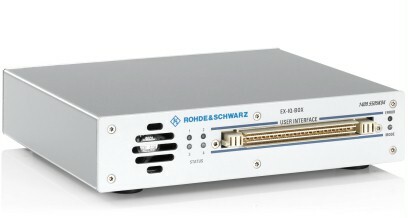 The R&S®EX-IQ-Box plus a signal analyzer from Rohde & Schwarz enable the reliable analysis of digital baseband components. As an accessory for a Rohde & Schwarz communications tester, the R&S®EX-IQ-Box acts as a versatile digital baseband interface for signal generation and signal evaluation.